Kofta curry is traditionally an Eastern dish, but we've developed a recipe that adds some local flavour to an international delight. Our Heroes® Griller is the perfect complement to a classic dish. Try this delicious pulled venison meal this winter for up to 6 people! Our food ingredients are manufactured at our facility and sold as complete packs. This means that quality and flavour are consistent. Our classic chocolate brownie recipe, perfect for everyday baking and occasions. This recipe brings more fun and flavour to a festive season favourite. It serves six people with a sweet tooth! Mexico is renowned for its iconic food. We’ve pack those famous, feisty flavours into a one-of-a-kind hotdog recipe that takes just 10 mins to prep! This no-nonsense, mildly spicy burger recipe brings big flavour and serves four people in style. It takes 50 minutes from prep to plate! This recipe brings you the great taste of North Africa in bite-sized portions. Perfect as a snack, starter or side. Serve with hummus for extra impact! Peri peri chicken is tricky to get right...until now! This convenient recipe, packed with big flavour, takes one hour to cook and serves 4-6 people. Perfect as a starter or snack for 6-8 people, this recipe brings fresh flavour to the classic prego formula. Need a tasty snack for a big group? This quick and easy recipe brings big flavour and convenience. Taking just ten minutes to prepare, this aromatic curry recipe brings sweet and spicy flavours together for the ultimate lamb dish. It’s never been easier to make the iconic South African dessert. This quick recipe creates six tasty medium-sized tarts. The best of Italy and India combine for a bold recipe that makes four delicious medium-sized pizzas. Warm up your winter with this hearty venison stew. It brings big game flavour to a table of 8! A Beef Wellington is one of the best ways to enjoy a great steak. This recipe uses venison to take the flavour to new heights. Spice up your soup offering with the iconic flavours of a South African braai. Perfect as a starter or on its own. This delicious Legacy® snack takes only 20 minutes, giving classic South African boerewors some fast flavour from the USA. Local is lekker with this shank potjie recipe. It brings out big flavour in both the meat and vegetables. Our Heroes Range is made with the braai in mind. 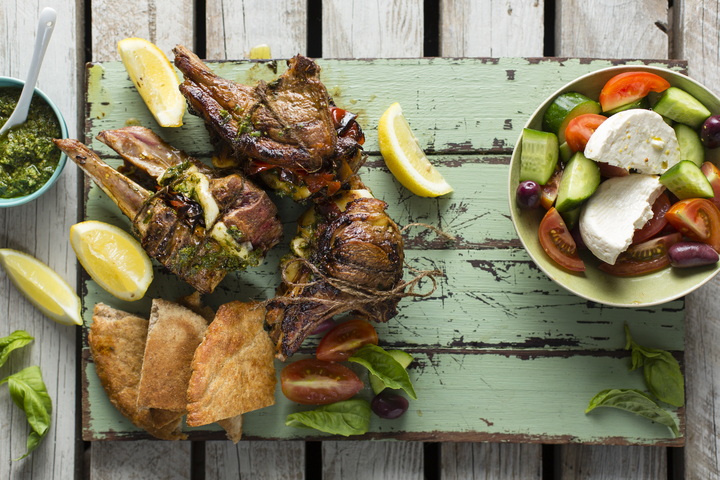 Channel your inner braai-master with this great recipe. Of the many great gifts India gave the world, samosas are some of the most delicious. This recipe uses pickled fish to put a new spin on the bite-sized snack. The local legend gets a Middle Eastern makeover with an innovative recipe that’s full of flavour. Try it as a meal for two or a starter for four! Bulgur is a wheat-based carbohydrate that is widely used in Middle Eastern cuisine. This recipe uses other famous ingredients from the region for a quick, delicious dish! Even Freddy Hirsch knows there’s a time and place for a great veggie dish. Find out how to make this delicious Roast vegetable and Pasta Salad. Croquettes were first made in in 1898 by Monsieur Escoffier, the founder of classic French cuisine as we know it. This recipe adds some SA flavour and brings it into your home! Make the festive fun last even longer with this tasty quiche! The gammon and chicken are great together and you’ll have 10-12 people begging for more. This recipe takes familiar favourites and puts them in a different package. Custard and blueberries is always a win! Chocolate mousse is one of SA’s most popular desserts. This recipe gives the local favourite a gourmet twist. When life throws you leftover gammon after the festive feast, make gammon burgers! This recipe shows you how to do it in gourmet style. 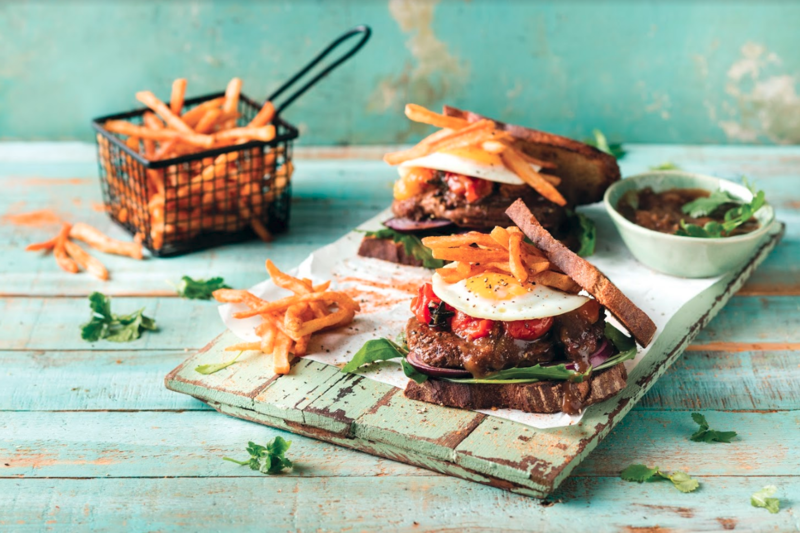 Burgers are one of the most popular foods in South Africa and they only get better with venison (they're perfect on the braai too). This recipe will make sure that your burgers are tastier than anyone else’s! This spicy stew blend contains top notes of cumin and coriander. This makes it a quick fix if you want lots of flavour in little time! This mild breyani contains top notes of cumin, fenugreek and ginger. The result is a tasty dish that stays true to its Indian roots! This spicy-sweet curry blend contains fenugreek coriander and top notes of cumin. Add some butter and cream for a classic winter warmer without the burn! Chakalaka is a staple of the South African braai and this mix brings those flavours to the table. The savoury, mildly spicy sauce contains top notes of mustard and coriander. Warm yourself up from the inside with this simple, hearty chicken stew mix. It has a slightly creamy texture and top notes of garlic, onions and herbs. This sauce blend is the ideal base for pasta dishes, especially those containing white meat. You can also use it to thicken soups and cover vegetables! This sauce is the perfect pairing for your Sunday roast! You can even use it to thicken stews or soups and add delicious hearty flavours. This mild, meaty gravy blend will make your chicken explode with flavour. Drizzle it on your roast for the perfect meal. Gentle berry flavours make this a great partner for desserts like trifle. That said, this jelly is delicious enough to be enjoyed as is! Sweet and subtle grape flavours and a rich colour make this jelly a crowd favourite. Enjoy it on its own, or in desserts like trifle. Tropical flavours and colours make this jelly a popular choice. Try it on its own, or add it to your trifle for a summer twist on the classic dessert. This jelly is guaranteed to be a smash hit with the kids! It contains the classic crème soda flavours, made from high quality vanilla. Try this product for smooth, vanilla custard that isn’t too sweet! Enjoy it on its own, or served alongside dessert favourites like malva pudding or jelly. This mix makes chocolate mousse easier to make than ever before. The flavour is smooth and the texture is like velvet. You won’t find better! With its sweet vanilla flavour, this mix provides the perfect base for cupcakes and sheet cakes. This mix makes the traditional South African dessert easier to make and more delicious than ever! For best results, serve it with our What's Cooking ™ Custard. Paptert, or porridge pie, is a firm favourite in SA. This recipe combines the classic paptert flavours and textures with the tomato and onion taste that makes chakalaka a staple at every braai. It only takes 15 minutes to prepare! This burger recipe is inspired by the traditional flavours that made Wiltshire pork famous. If you like your pork done the English way, you’ll love it! 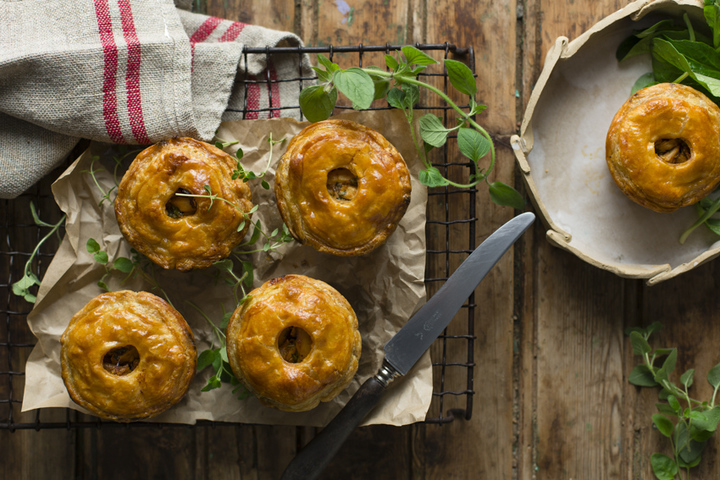 This pie recipe is inspired by the traditional flavours that made Wiltshire pork famous. If you enjoy your pork the English way, you simply have to try it! In Asian cuisine, lentils are often eaten with rice or rotis. It’s no coincidence that they taste excellent in a curry! This recipe is guaranteed to be a firm favourite. When meatballs are prepared correctly, they really are magical. This recipe combines the best Italian and South African flavours for a meal worth savouring. Across their various cultures, Asian countries always have great techniques for preparing chicken. We’ve borrowed a few for this amazing chicken and coleslaw salad. The first ever noted tomato soup was made by Maria Parloa in 1872 and it has soared in popularity ever since. Nearly 150 years later, we’ve perfected the recipe. Sometimes, meat-free is the way to go! This recipe is perfect for when you feel like the versatile, veggie flavours of cauliflower, lentil and feta! Middle Eastern food is renowned for its distinctive ingredients. Follow this recipe to create a salad that salutes the flavours from Egypt, Iran, Israel and Turkey. Curry and pickled fish are great together! This sweet and spicy delight takes a total of 3 hours to prepare and cook. No braai is complete without a generous portion of potato salad! This recipe will have you preparing the finest potato salad in town! More indulgent than the average soup, this creamy chicken and sweetcorn recipe is a treat for those with a slightly sweeter tooth. Healthy and wholesome, potato and leek soup is a cold weather favourite. This recipe will get you making excellent soup in minutes. Anything beef can do, venison can do better. This is especially true of meatballs. Try this special recipe and see for yourself. Humans have been pickling food for ages. It raises the acidity level, which kills bacteria and prolongs the life of the food. It also tastes good! This great recipe will help you make a bulk pickled fish dish like you’ve been doing it forever. Nothing says 'weekend' like a wonderful roast chicken. Follow this recipe for a delicious meal that suits all occasions. A pot pie is a hearty, filling way to enjoy a meal. This recipe will help you make chicken pot pies that get the whole family excited.